If you have ever been to Kolkata, or know someone who lives in the city, or live in the city yourself, you must know that the number of shopping destinations in the city of joy is simply mind-blowing. The sheer number of items that you can shop till you drop at these markets is something to behold – especially when you get everything at discounted and bargain rates. These markets and these stores are the perfect destination for purchasing not only ethnic clothes, but unbranded western outfits and formal attires as well. 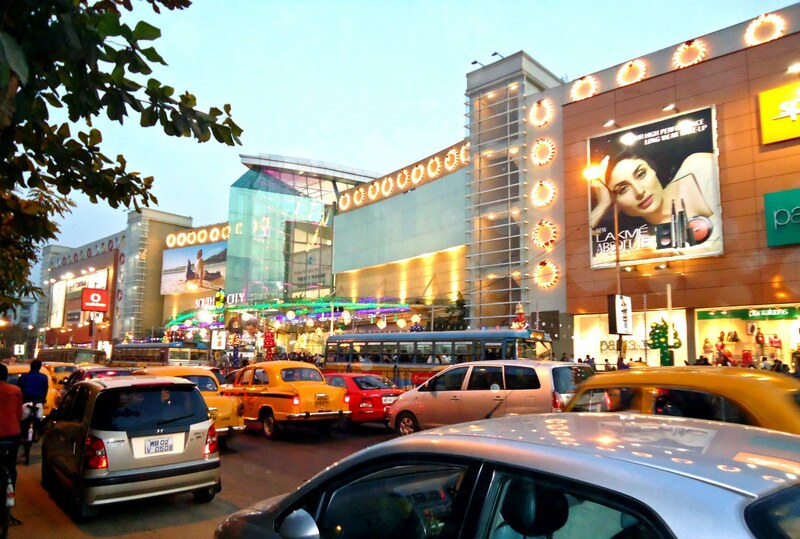 So today, we are going to take a look at the top 10 shopping destinations in Kolkata and try to understand why they are simply the best. Read on to find out more. New Market is perhaps the ultimate shopping destination in Kolkata, and one of the oldest markets in the city. You can buy a varied range of items, starting from needs, handkerchiefs, chappals and shoes, haute couture lingerie, saree borders to even fashionable sarees as well – you just have to imagine it, New Market will definitely have it on sale. Foreign tourists who visit the city during the fall and winter make it a point to visit New Market at least once, even if they do not have any shopping needs. The second most popular shopping destination for Kolkatans definitely has to be Gariahat Market. If you visit Gariahat Market, you will get practically everything – from branded clothes to discounted flea store items. But the market’s one specialty is its collection of stores selling Bengali cotton sarees, quality silk sarees and handloom sarees – this is the best place in Kolkata to buy these sarees. No other market in Kolkata can hold a candle to the collection of sarees this market plays host to – even if they sell fashionable and fancy sarees. Located in North Kolkata, this flea market has been in existence for more than 100 years old, yet still attracts a huge hustling and bustling crowd almost every day of the week. Not only is this place perfect for buying clothing items at a discounted price, Hati Bagan Market is also perfect for buying pets for your home, and even plants for your garden. If you want a quality fish tank, or a cage for your birds and rabbits, then this is the place to be at. Plus, if you can really haggle, you can get your hands on stylish neckwear within a range of Rs. 50 to Rs. 100. If you are desperate for ethnic clothing, and that too at an affordable rate, then the Dakshinapan Shopping Complex near the Dhakuria flyover is your perfect shopping destination. This government-owned shopping complex plays home to state emporium shops of all the states in the country. Not only will you get to buy inexpensive clothing items made with the best cotton and silk fabric, you will also get access to costume jewellery items and curios for your home at the best possible prices. Besides, the food at Dakshinapan Market is simply to die for, especially the mishit phuchka or sweet panipuri shop in front of the market’s gate, which had received an award for the Best Phuchka Seller of the City from Times of India a few years back. Located just opposite to the New Empire Cinema Building in New Market, Shreeram Arcade is one of the first markets of Kolkata that was built following the modern concept of a shopping mall. Once you enter the market, it will not take you long to understand that Shreeram Arcade is home to practically each and every kind of fashion product that you can think of or that you may want to buy. The sheer stock of stylish inners, fish-net stockings, stylish shararas and fashionable lehengas will simply overwhelm you and blow your mind away. The collect of western outfits available in this market is also mind-blowing, and definitely worth at least one visit. Simpark Mall is a relatively new shopping mall, located in the underground basement area of New Market at Lindsey Street. This mall has two main specialties – shoes and bags, something every woman from 8 to 80 needs. Granted that most of the shoes and bags sold at this mall are duplicates, but if you can get a Chanel or Lady Dior lookalike at just Rs. 650 to Rs. 700, then why should you gripe about the duplicate issue. Located on Lord Sinha Road just opposite to the Shri Shiksayatan School and College, Emami Market is the perfect shopping destination for buying fashion accessories of every variant imaginable. The collection of bags and shoes that this mall has to offer is truly mind-blowing, and that too at discounted bargain deals. The clothing items sold at this mall are also quite fashionable, and definitely worth your consideration and selection. If you have shoe-shopping on your mind, then you have to pay Metro Plaza a visit. The third place in Kolkata to offer great shoes and bags at discounted prices, Metro Plaza is located at Ho Chi Minh Sarani right beside the British Deputy High Commission, and offers the best bargains and deals on shoes and bags which are simply to die for. This is definitely a must-visit market if you plan on buying shoes and bags at great rates. Just remember to visit the top floor shoe stalls and have your mind blown wide open. Located on Shakespeare Sarani, the erstwhile Theatre Road, New B.K. Market is the perfect place to shop for fashion accessories and fashion wears at inexpensive prices. Located just opposite to Nagaland House, New B.K. Market offers great fashion accessories collections, imported directly from the streets of Bangkok. That is the very reason why the shopkeepers can offer such low rates for such fashionable products. Another gem located at Shakespeare Sarani, A.C. Market was the very first air conditioned shopping mall to open its doors in the city, before South City Mall and the City Centres sprung up. The three floors of the A.C. Market plays host to a large collection of ethnic as well as western outfits, which draws in a much larger crowd than any of the over-hyped shopping malls in the city.